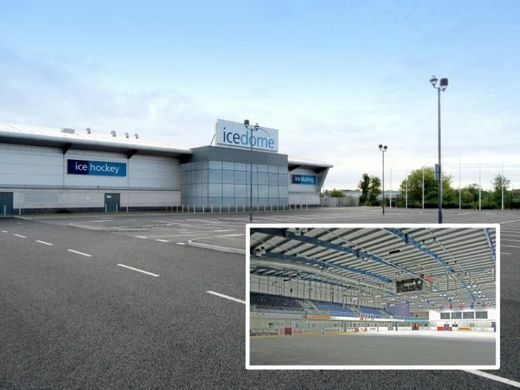 The Irish Ice Hockey Association (IIHA) have announced that they have raised the funds to reopen Dundalk ice rink. The IIHA says they are negotiating how they could lease the facility from the current owners, DkIT. It is hoped that teams will be able to use the facilities, which closed back in 2010, by September. The reopening has been made possible thanks to an unlikely connection between Canadian Prime Minister Justin Trudeau (inset photo) and Dublin ice hockey team, the Flying Ducks. The Dublin team visited Canada in 2017 and highlighted that Ireland did not have a permanent ice hockey rink and the Canadian PM offered his support. Ireland’s senior hockey teams currently have to play any league games in Belfast. Aisling Daly, president of Dublin team, the Flying Ducks told The Sunday Times newspaper that the Canadian connection was forged when the Dundalk team were invited to play in Montreal. The Irish team was invited to play in Montreal by Kevin Murphy, vice-president of advertising and public relations for the United Irish Societies of Montreal, who invited the team to walk in the city’s St Patrick’s Day Parade. The club met Trudeau at the parade and told him about the lack of ice hockey facilities in Ireland. Aaron Guli, the president of the Irish Ice Hockey Association (IIHA), has said that they are currently negotiating with DkIT and said that he was “cautiously optimistic” that they would succeed in having the rink reopened because of private funding that the association had received.